Located in Cleveland’s University Circle, the CMA Fine Arts Garden is one of the most recognized and beloved landscapes in the city. 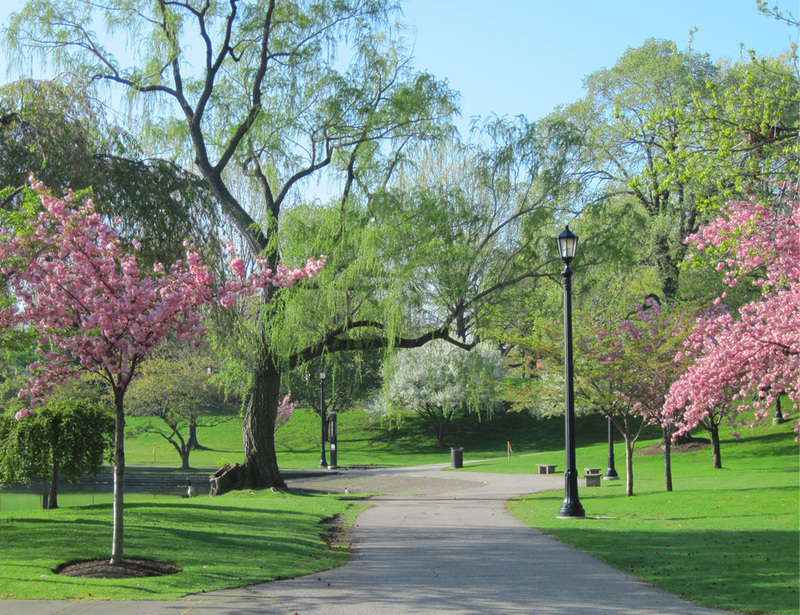 The renowned Olmsted Brothers landscape architectural firm designed the garden in the mid-1920’s. Behnke crafted a Master Plan for the entire 11-acre garden. After extensive historical research, a series of feasible goals for renovating the gardens was developed in coordination with the Fine Arts Garden Commission. Careful attention was focused on maintaining and/or restoring the character and spatial qualities of the Olmsted Brothers’ original design. Key Olmsted features, such as the tree groves and original walkways, were enhanced. In addition, the site is now physically accessible to all visitors, fully irrigated, and maintainable. The master plan was divided into a series of phases, the first of which was installed in the Spring of 2002.